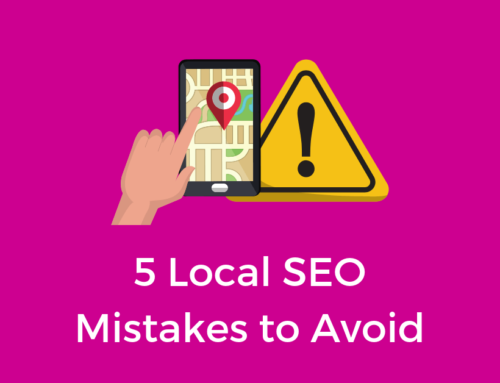 “Why do we need Local SEO, we already have great organic SEO?” We get this question all the time, and we get it, SEO in all aspects can be confusing at times. That’s why we’re here to help. 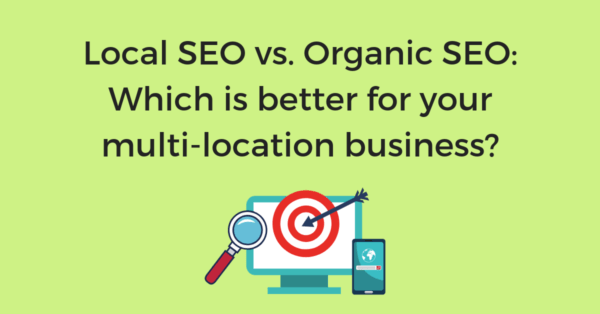 When it comes to SEO, both organic and local SEO are equally important for any business looking to drive more in-store traffic. 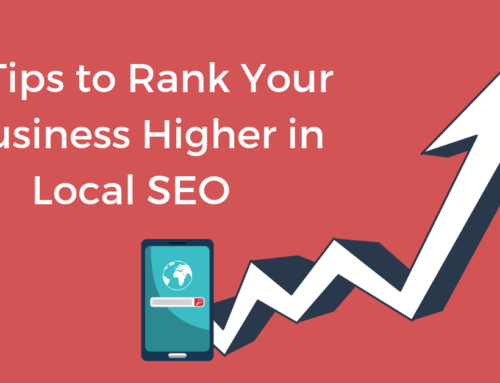 Both organic and local SEO play their parts in getting your brand visible online so let’s take a look at how exactly they do this. Organic Search Engine Optimization (SEO) is the process of improving the visibility of your website in order to drive more organic traffic to that site. Organic traffic comes from link clicks through unpaid search engine results on sites like Google or Bing. There are a lot of different components that go into Organic SEO, in-fact Google changes its algorithm 500-600 times a year. Things like high-quality content, keyword optimization, backlinking, a secure site, visitor engagement, and site speed are all factors that go into creating a high-ranking website. Local SEO is the process of optimizing a website to be found in online searches with local intent. When a consumer makes a local search they are looking for a brick-and-mortar business to visit in person. 97% of consumers search online for a local business and 1 in 3 do so on their phone before arriving at a local business. Unlike organic SEO, local SEO searches go beyond the search engine and results can be found on maps and business directories like Google Maps, Yelp, and Facebook. Because of this, local SEO requires a focus on things such as citations, reviews, links, and keywords. Does my brand need Local SEO? When brands are already doing organic SEO, they often wonder if they even need local SEO. This question has a very simple answer and it has nothing to do with local vs. organic SEO. If your brand has a brick-and-mortar location, you need local and organic SEO. Local SEO is for any business that serves a local area. Local SEO is an extension of organic SEO. It’s not optional for any brand that wants their business locations to be found online. Organic SEO drives traffic to your website, local SEO drives traffic to your store. When 28% of local mobile searches result in a same-day in-store purchase, local SEO is just as valuable if not more, than organic SEO. How do Local SEO and Organic SEO practices work together? Let’s start with the easy stuff. When a local business claims their listings on directories like Google My Business or Yelp, those listings create authoritative links back to the brand’s website. This helps Google to rank your business higher in organic web searches as well as local searches. When a brand creates these listings, they add their business name, address, phone number, etc. (see NAPWCHD). When you add these citations to your website, it helps the directories rank your business higher in local search by confirming the information you provide is real. Search engines love new content, it’s what helps tell them that your site is relevant and up-to-date. By creating locally focused content such as a page for an upcoming community event, or a blog post on a local store, you’ll not only help build local rankings through citations, but you’ll improve organic rankings as well. Optimize for your local content one step further by using Google Posts to share your new content. ⅔ of impressions on a listing come from unbranded keywords, which is why it’s essential your brand is doing everything it can to optimize for any relevant keywords both on your local business listings and your website. Brands can optimize for unbranded keywords in local search within their listing categories, description, and reviews. In organic search, these keywords can be found on-page in the headers and text on the website. Keywords are an essential part of both local and organic SEO and play a pivotal role in bringing new customers to your site and local business. SEO is meant to help search engines rank your business higher for relevant searches and when you rank higher, you’re more visible to consumers. SEO shouldn’t be specific to just local or just organic, if you want your brand to be found online you need to optimize for both. If your brand is looking to improve its local SEO strategy for multiple locations, Chatmeter has the tools to help. Our Local SEO and Reputation Management platform is built to help the multi-location brand take control of their online presence. 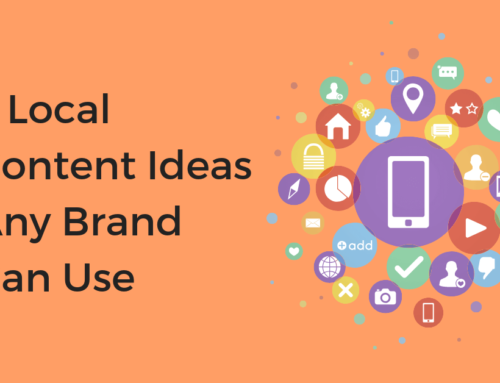 Want to see how locally optimized your brand is? Click here to get a free brand audit and see where your locations rank.